Virgin Trains is extending a summer promotion which has enabled thousands of people to cut the cost of a spontaneous weekend getaway by more than £100. Customers travelling on Fridays will see afternoon peak restrictions from London Euston removed until October 26, eight weeks after the offer was initially due to finish this Friday. 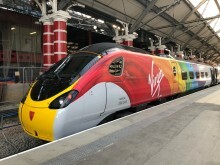 Virgin Trains has invited a railway fan making his first visit to Manchester Pride on board its specially decorated #RideWithPride train, as it transports hundreds of visitors to the city for a long weekend of celebrations. Two Royal Air Force veterans who served in the Second World War have launched a specially-named Virgin Trains service from Holyhead Station in Anglesey. 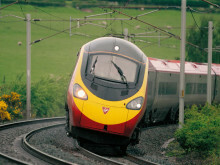 Sustainable transport initiatives the focus of new partnership alliance as Virgin Trains commits to closer working relationship with key West Midlands stakeholders. Virgin Trains has become the first UK train operator to offer digital Season Tickets, as they move one step closer to getting rid of orange tickets altogether. 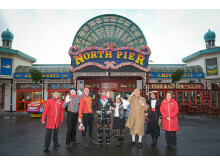 Tuesday 24th July – Virgin Trains has today released the first episode in the brand new ‘West Coast Weekender’ series. 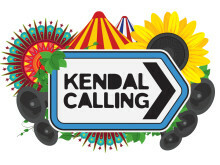 Hosted by top comedian and TV personality, Joel Dommett, the videos see Joel discovering all the best – lesser known – things to see, do, eat and drink on a summer weekend getaway to five of the most popular destinations along the Virgin Trains route. 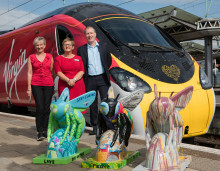 Virgin Trains gets bee-hind Manchester’s city-wide public art trail by naming one its Pendolino trains ‘Bee Together’ and launches a children’s competition to design a baby bee. 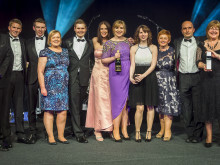 The winner will see their creation brought to life and presented to them as a 'money can't buy' prize. Virgin Trains’ specially decorated Pride train has travelled to Glasgow as the festival took place in Scotland’s biggest city this weekend. 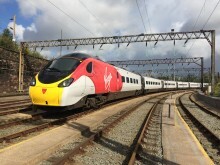 Virgin Trains will hand over the reins of the East Coast business to London North Eastern Railway (LNER) this weekend, after a successful demobilisation operation focussed on delivering continuity for customers. Virgin Trains has unveiled a commemorative plaque at Crewe station, recognising the important role the Royal Naval train played in transporting soldiers and sailors along the West Coast Main Line, over 100 years ago. 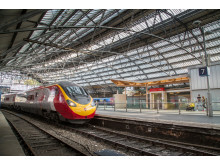 Virgin Trains is today launching a new partnership with Uber to enable passengers to easily request a ride to the station and on arrival at their destination. 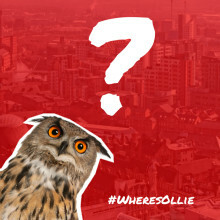 Virgin Trains is hosting an exciting large-scale treasure hunt for families in Leeds during the half term break and is inviting all families to take part next Wednesday, May 30. 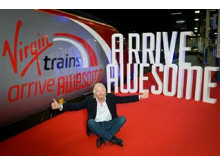 Virgin Trains fully behind a new Release Scotland partnership aimed at unlocking the potential of people with criminal convictions which has won the backing of business leaders, charities and the Scottish Government. 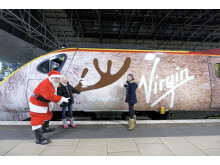 Virgin Trains has named one of its Pendolinos Blackpool Belle to celebrate the launch of its first electric services to and from the resort today (Monday 21 May). 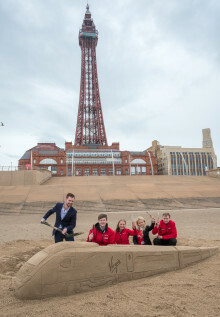 Virgin Trains has recreated its iconic Pendolino train on Blackpool beach to celebrate its first visit to the seaside resort today.